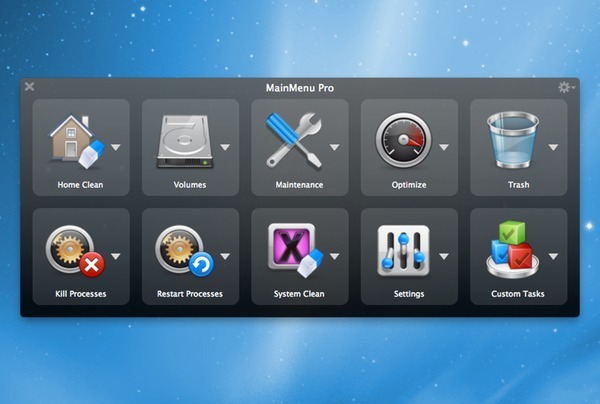 MainMenu Pro 3.4.1 – Accelerate and improve your Mac’s performance. MainMenu Pro ensures speedy and reliable performance from your Mac. Faster searching. Rebuild your Spotlight library for accelerated searching. Improved application performance. Clean caches to keep your applications running smoothly. Advanced customization. Repair permissions, disable your Dashboard, and more. Next story Intaglio 3.9.1 – Drawing and illustration application. Previous story Tag 1.0.3 – Metadata editor for FLAC, Ogg Vorbis, and more. DriveDx 1.4.1 – Advanced drive health diagnostic utility. VMware Fusion 7.1.0 – Run Windows apps alongside Mac apps without rebooting.